Nothing says summer quite like coconuts and rum, and this Coconut Mojito Cocktail is the epitome of summer! It’s so refreshing, you will imagine yourself drinking straight from a fresh coconut in the middle of the Caribbean! I swear that every drink I have craved lately has to do with a song I’ve recently heard somewhere. Just recently, I have shared a Tequila Sunrise, which was the inspiration behind the Eagles mega hit with the same name. I got the country song “Watermelon Crawl” stuck in my head for a week after making this delicious Watermelon Vodka Fizz, and now I’ve got the line “put a little liquor in my coconut water” from Thomas Rhett’s awesome summer song, “Vacation” now that I’ve made this Coconut Mojito. That’s not necessarily a bad thing…all of these delicious summer drinks have me in total vacation mode, and I’m loving it! The latest song inspired cocktail is made with coconut milk instead of coconut water, but it’s soooo refreshing that I could drink them all day…I’ll just have a couple though! 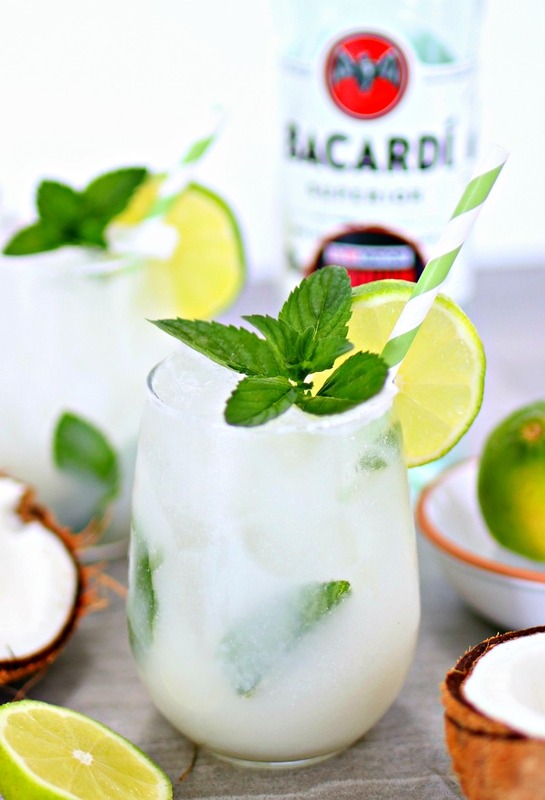 What’s in a Coconut Mojito? Place mint leaves, simple syrup, lime juice, and cream of coconut glass and muddle until the mint leaves are slightly bruised and fragrant. Fill the rest of the glass with club soda and stir. 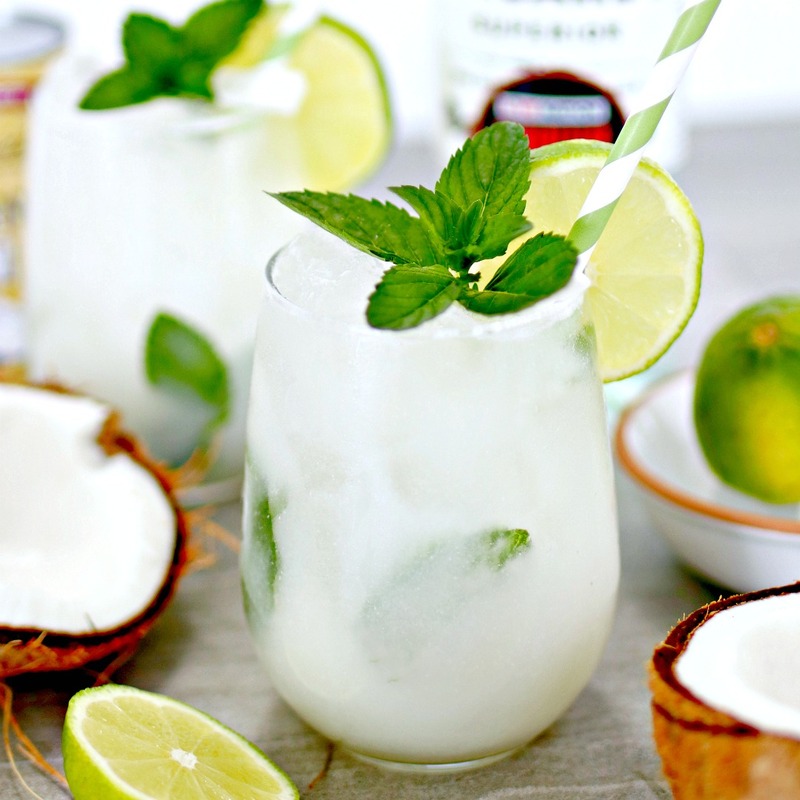 I hope you enjoy this delish Coconut Mojito as much as I do! 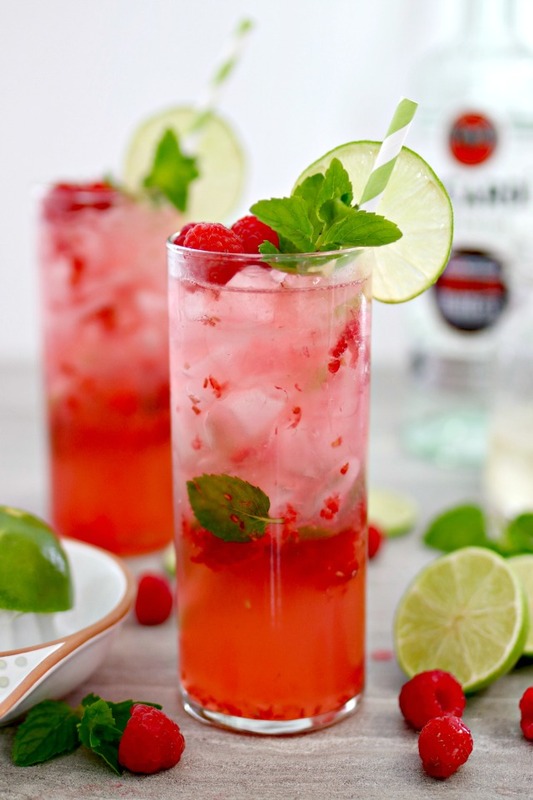 If you love mojitos, then you absolutely have to try my Raspberry Mojito! It’s honestly hands down my favorite cocktail for this summer! In the mood for a super fresh margarita? 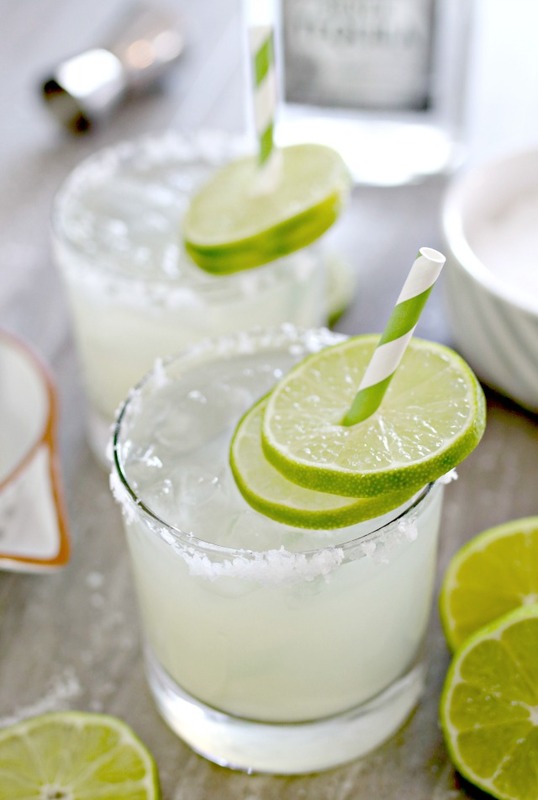 These Margaritas are made with only the freshest ingredients…you’ll never buy that store bought mix again! Love lemonade? 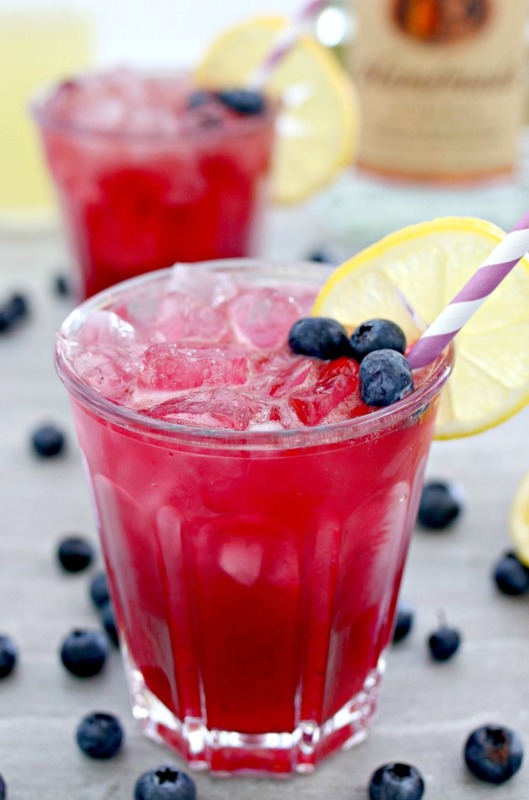 This Boozy Blueberry Lemonade is perfect for those hot summer nights, or heck, even hot summer days on the beach, at the lake, or poolside! There is no link to the Homemade Simple Syrup. Thank you for letting me know…all fixed!